We have begun to delve into our Reading Power collection to find titles to illustrate the concept of connecting to a story. 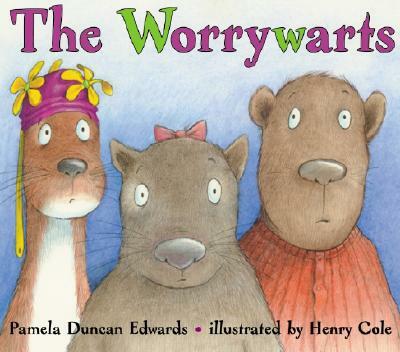 Today we shared The Worrywarts written by Pamela Duncan Edwards and illustrated by Henry Cole. Many of had learned about connecting before. We talked about how when you have a connection . . . There is a lot happening in The Worrywarts. First of all – a wonderfully woeful celebration of weary wallowing in all things worrisome. Alliteration and then some! Edwards celebrates “W” power! Wombat, Weasel and Woodchuck decide to go on an adventure to wander the world. After much contemplation on the perfect snacks to bring along , they realize that they have many worries about the “What if . . . ” aspect of their walk out into the world. In our class, we could connect to sharing worries about what might happen in any given situation. After the story, we drew about our worries. Many students shared that these fears creep into their heads when in bed at night. 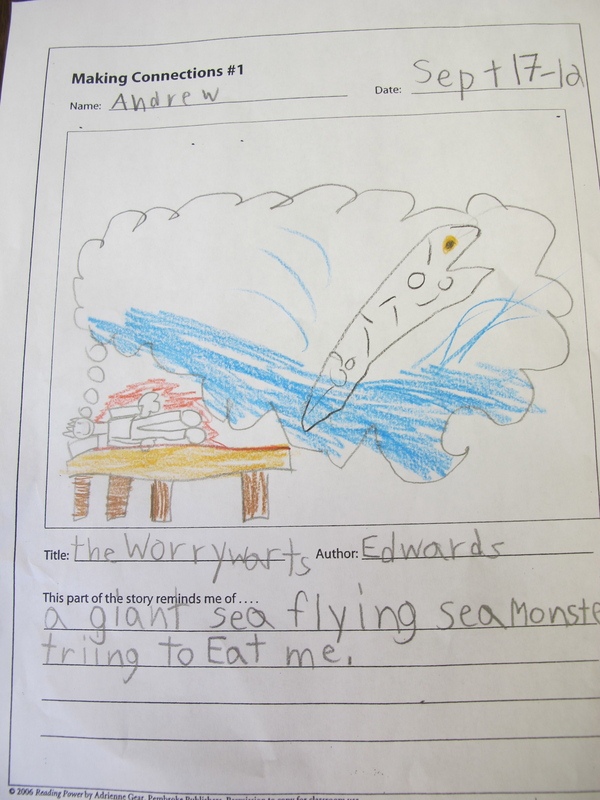 Andrew wrote about worrying about a giant sea monster eating him. This idea might be in his head when he was lying still at night, he explained. That sea monster looks pretty big! 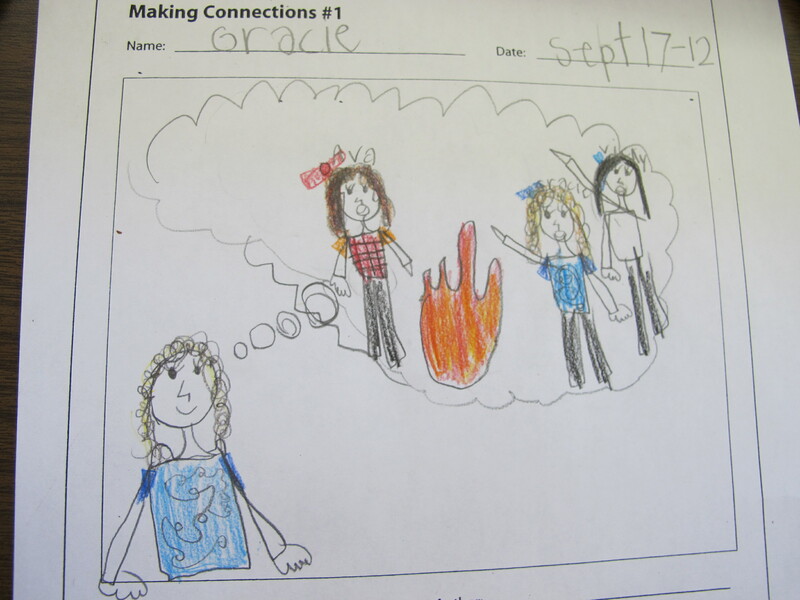 Many students drew fires in their thinking bubbles. There seems to be many worries about fires breaking out and not being contained. We noticed that last week when we had the fire drill, we had to do lots of “What if . . .” talking. Shereese shared that she has worries about being lost. Her picture in her thinking bubble is very detailed and sure conveys that scary feeling of feeling all alone in a big, intimidating place. 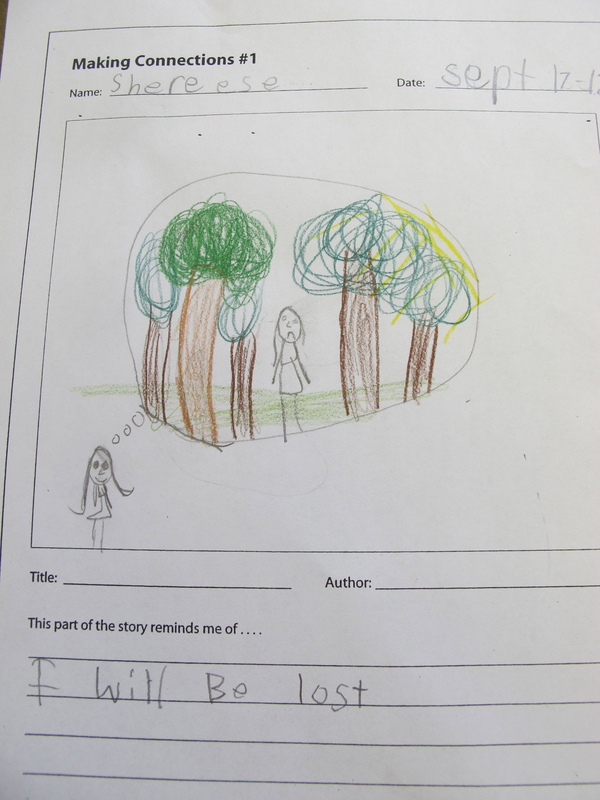 There was a certain comfort in sharing our worries through discussion, pictures and our writing. We definitely realized that having worries happens to all of us, not just story book characters like Wombat, Weasel and Woodchuck. What do you worry about? How do you calm your fears? This entry was posted in Literacy and tagged favourite illustrators, great read alouds, Henry Cole, making connections, Pamela Duncan Edwards, picture books, reading power by carriegelson. Bookmark the permalink.